If you’re looking for true urban living, Downtown LA is the place for you. Downtown offers the largest employment core in the region, several entertainment venues and cultural attractions, along with convenient access to public transportation and major freeways. Downtown's distinct neighborhoods like South Park, the Arts District and the Historic Core have something for everyone. 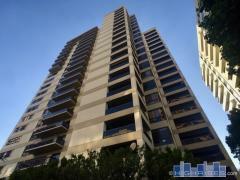 Below are all available Downtown LA condos and lofts for sale sorted by price. If you'd prefer you can search by building, search by map or search for luxury lease listings. The South Park District is in the southwest part of Downtown LA, south of the Financial District and west of the Fashion District. It has LA Live, Staples Center, and the Convention Center. In addition, it has Downtown?s only full-service grocery, the Ralphs Fresh Fare. With recent new developments like Ten50 and Metropolis, this part of Downtown has emerged as the premier neighborhood for luxury living in Downtown LA. The Arts District is located on the eastern edge of Downtown LA. It is an old industrial district that gained popularity with artists in the 70s and 80s and has some of the original loft units in LA. It has seen a recent wave of development, including Savoy and Mura which are new ground-up construction buildings. Here you'll also find Barker Block, Toy Factory Lofts, and Biscuit Company Lofts, which are all adaptive re-use of former industrial buildings. This neighborhood is home to the Southern California Institute of Architecture (SCI-Arc). This district was the former heart of Downtown LA prior to World War II. True to its name, it has the highest concentration of historic architecture in Downtown. It is located east of Bunker Hill, west of Little Tokyo, south of the Civic Center area, and north of the Jewelry and Fashion Districts. Some of its most notable condominium buildings are the Eastern Columbia, Douglas Building, and Rowan Building. This district is home to Grand Central Market, which offers a multi-ethnic variety of produce and prepared foods.